The landscape of psychoanalysis has changed, at times dramatically, in the hundred or so years since Freud first began to think and write about it. Freudian theory and concepts have risen, fallen, evolved, mutated, and otherwise reworked themselves in the hands and minds of analysts the world over, leaving us with a theoretically pluralistic (yet threateningly multifarious) diffusion of psychoanalytic viewpoints. To help make sense of it all, Morris Eagle sets out to critically reevaluate fundamental psychoanalytic concepts of theory and practice in a topical manner. 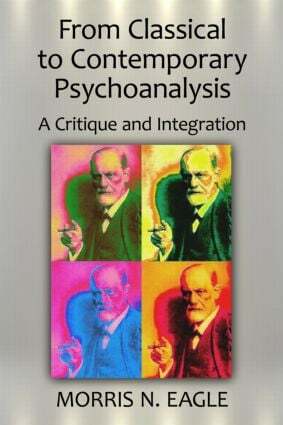 Beginning at the beginning, he reintroduces Freud's ideas in chapters on the mind, object relations, psychopathology, and treatment; he then approaches the same topics in terms of more contemporary psychoanalytic schools. In each chapter, however, there is an underlying emphasis on identification and integration of converging themes, which is reemphasized in the final chapter. Relevant empirical research findings are used throughout, thus basic concepts - such as repression - are reexamined in the light of more contemporary developments.